Home / Courts / Crime / Daily Update / Rochester / Rochester man pleads guilty to smuggling counterfeit Cialis and Viagra into U.S.
Rochester man pleads guilty to smuggling counterfeit Cialis and Viagra into U.S.
ROCHESTER -- U.S. Attorney James P. Kennedy, Jr. announced today that Samuel McFarland, 55, of Rochester, NY, pleaded guilty to two counts of smuggling goods into the United States before U.S. District Judge David G. Larimer. The charges each carry a maximum penalty of 20 years in prison and a $250,000 fine. Assistant U.S. Attorney Sean C. Eldridge, who is handling the case, stated that on April 10, 2017, Customs and Border Protection officers at the John F. Kennedy International Airport intercepted a package coming from Hong Kong that was addressed to the defendant. The package contained 3,012 counterfeit Viagra pills and 190 counterfeit Cialis pills. The pills were determined to be counterfeit. On January 8, 2018, CBP officers at the Rochester International Airport intercepted a package coming from China that was also addressed to McFarland’s residence. That package contained 100 bottles which included 30 counterfeit Cialis pills in each. The manifest for the package of 3000 counterfeit pills falsely listed the contents as “free trade sample” and claimed the package contained 50 plastic bottles valued at $1.00 each. On January 25, 2018, Homeland Security Investigations conducted a controlled delivery at the defendant’s residence of the package intercepted on January 8, 2018. McFarland answered the door and signed for the package. Federal agents then approached the house and executed a federal search warrant. During the search, agents recovered the package, as well McFarland’s cellular phone. The plea is the result of an investigation by Immigration and Customs Enforcement, Homeland Security Investigations, under the direction of Special Agent-in-Charge Kevin Kelly; Customs and Border Protection, under the direction of Director of Field Operations Rose Brophy; and the Food and Drug Administration, Office of Criminal Investigations, under the direction of Special Agent-in-Charge Jeffrey Ebersole, New York Field Office. 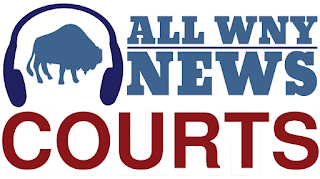 Sentencing is scheduled for May 23, 2019, at 10:00 a.m. before Judge Larimer.